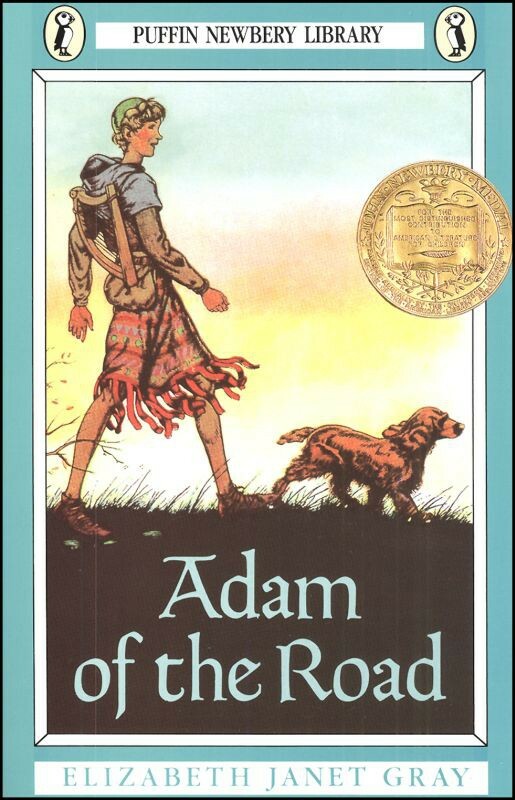 Set in 13th century England, this Newbery Award winner tells of the adventures of Adam, the 11 year old son of a minstrel, as he travels around Southern England. His adventures include separation from his travelling companions and trying to reunite when an unscrupulous minstrel steals his dog losing track of his father in the process leaving him alone on the roads to take care of himself, using his harp and minstrel skills to gain food and shelter as he seeks his lost puppy and father. 317 pgs.